Fly into Anchorage and check into the hotel. 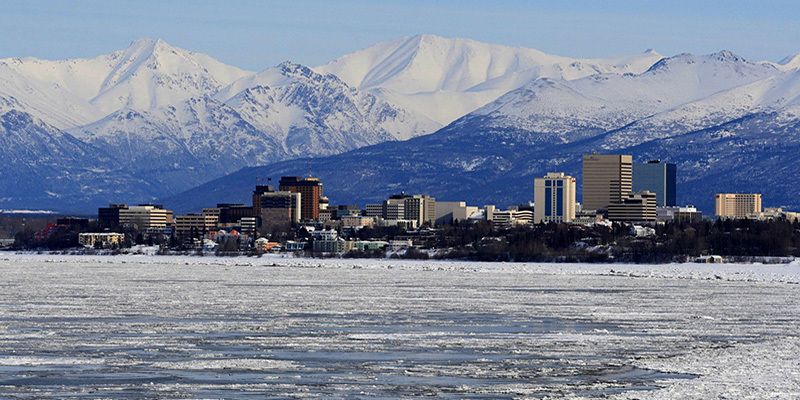 Whether you arrive in the afternoon or evening, you'll have ample time to explore Alaska's largest city. 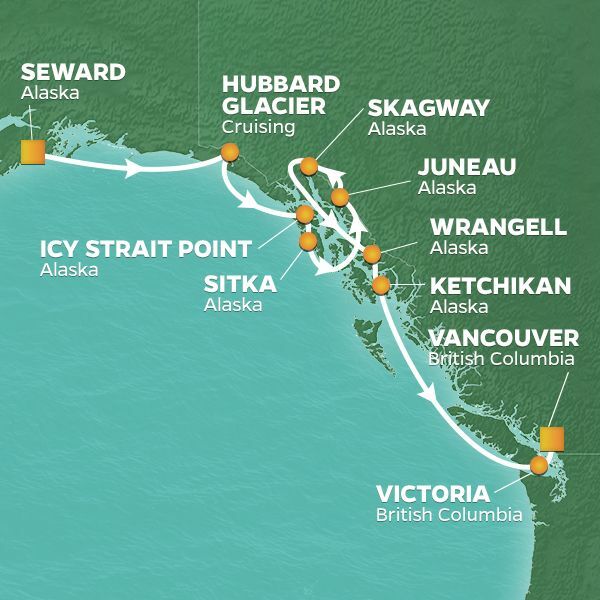 Known as the place where Alaska's adventurous spirit meets cosmopolitan and cultural pursuits, the city is certainly worthy of exploration. Browse the local shops and pop into a local restaurant for some of the freshest seafood you'll find anywhere. Enjoy breakfast and get to know your fellow travelers. Afterwards, travel to the tiny community of Talkeetna and board the famed Wilderness Express, a railroad that winds through Alaska's untamed reaches. Enjoy lunch onboard as you enjoy the views from the specially designed domed carriages on your way to Denali National Park. Upon arrival, you'll check into your hotel in the heart of the wilds and enjoy a special "Welcome to Denali" presentation. 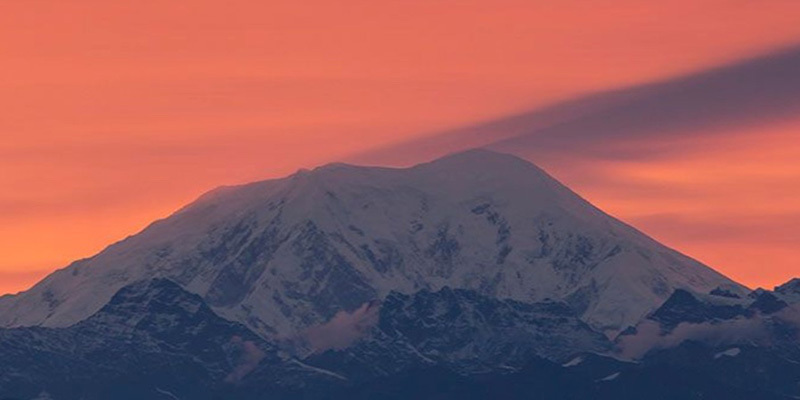 Wake up bright and early to begin a full-day expedition into majestic Denali National Park. Crowned by the 20,310-foot peak of Mount Denali, this expansive park spans some six million acres. 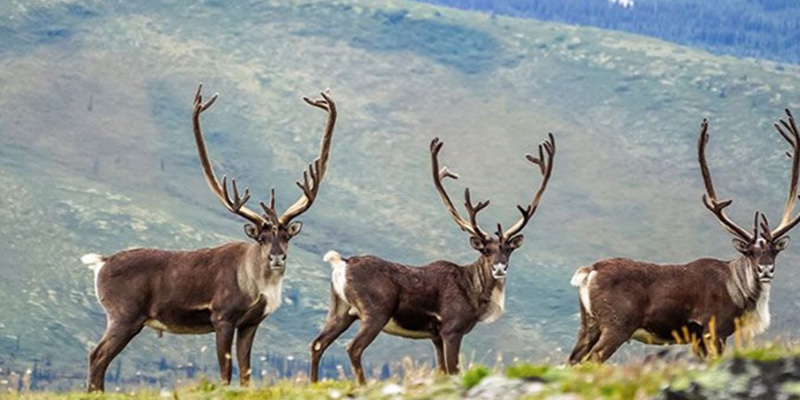 You'll journey deep into the interior watching for wildlife such as moose, caribou, and even Grizzly Bears. 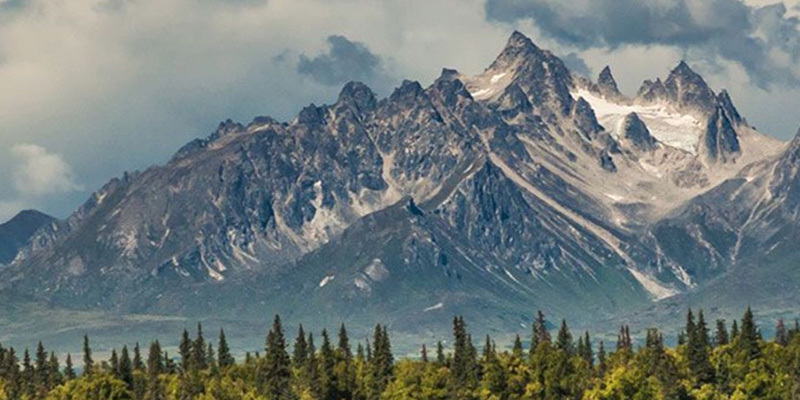 Stop at the Eielson Visitor Center, perched high among the bluffs, and enjoy some of the best views of snow-capped Mount Denali and the surrounding wilderness you'll find anywhere in the park. After the tour, unwind or join in one of the optional evening activities. Say goodbye to Denali and continue your Alaskan journey with a short drive to a local dog kennel. Here, you'll enjoy a first-hand look at Alaska's favorite sport dogsledding. Meet expert mushers who'll tell you all about the sport and its most famous and grueling race, the Iditarod. Plus, you'll get to meet the adorable and affectionate Huskies and learn about the deep bond they share with each other and their mushers. 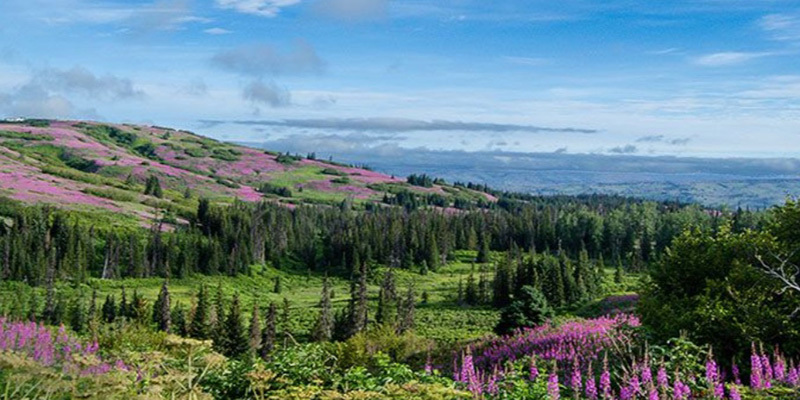 Continue with a scenic drive to the town of Girdwood. 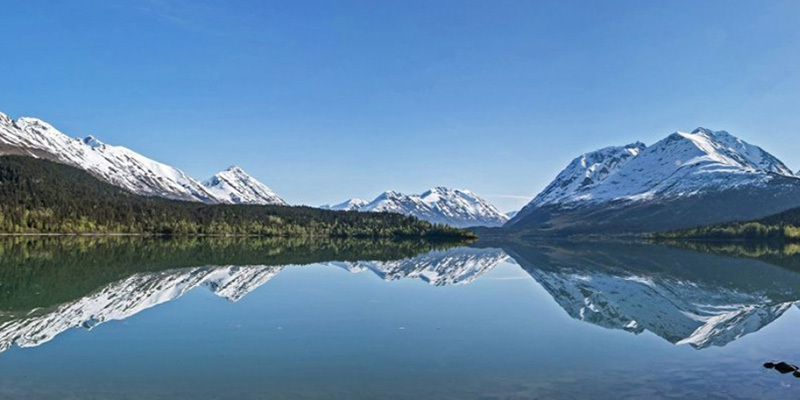 Enjoy lunch on your own before arriving at Alaska's wilderness paradise, the Hotel Alyeska. 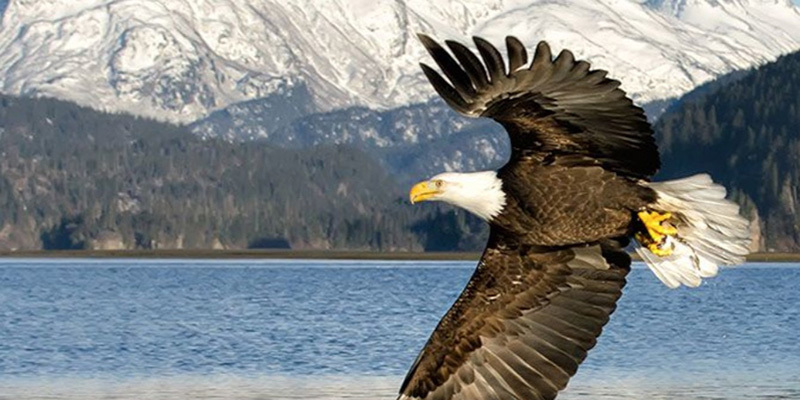 Enjoy breakfast at the hotel before setting out to the artist's community of Homer, Alaska. Along the way, you'll stop for lunch at a charming local restaurant. In Homer, embark on a "Dock Walk", during which local fishermen will talk about the commercial fishing industry and the vital role this time-honored way of life plays in the local economy. Afterwards, check into your hotel and settle in for the night. 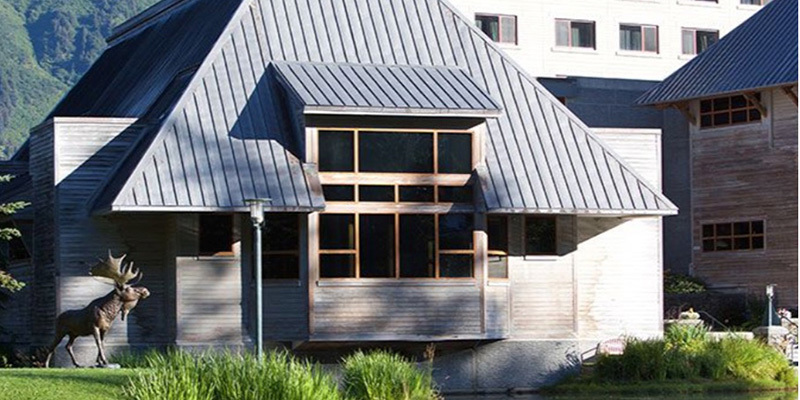 Begin the day with a visit to the Alaska Islands and Oceans Visitor Center, a research facility and museum devoted to the marine sciences. Afterwards, take to the water on a nature and wildlife cruise that navigates tranquil Kachemak Bay. 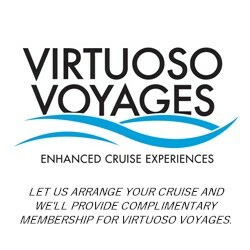 Keep watch for whales, seals and other marine wildlife as you voyage beneath towering peaks and majestic volcanoes. Go ashore to explore the community of Seldovia, a town known for its Russian Orthodox heritage. Enjoy lunch at a local establishment before heading back to Homer, where you'll enjoy plenty of free time to explore this colorful community of artists and craftspeople. Spend some time in the morning exploring the Homer Saturday Local Market, the perfect place to pick up an artful treasure or two. 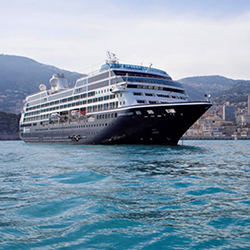 Afterwards, depart for Seward, where your Azamara ship will be waiting to carry you to further Alaskan wonders.